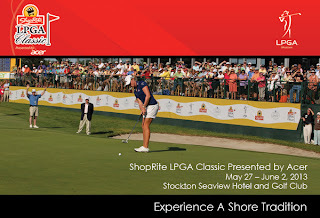 ShopRite LPGA Classic Presented by ACER releases Tournament Pairings and Start Times for Round 1 on Friday, May 31, 2013 and Round 2 on Saturday, June 1, 2013. The first Tee-Time starts at 7:15am on the Bay Course at the Stockton Seaview Marriott. A tournament that carries a purse of $1,500,000. Below are the Pairings and Tee-Times as released on www.shopritelpgaclassic.com.